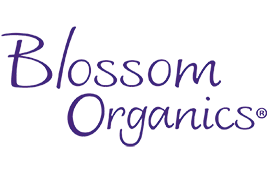 Our Ingredients | Blossom Organics, Inc.
Blossom Organics uses only the best all-natural ingredients to ensure your healthy well-being. 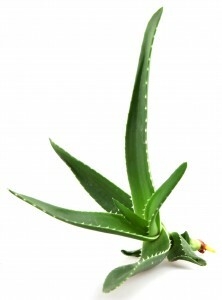 Here is a list of the safe, natural ingredients we put into our Intimate Care Collection. Organic aloe barbadensis leaf nectar: The nutrient-rich gel of the aloe leaf, which hydrates, soothes and heals the skin while creating a smooth glide. Arginine: An amino acid with antioxidant properties that can be helpful for wound healing and binding moisture to the skin. Organic borago officinali (borage) seed oil: An essential fatty acid that nourishes and lubricates the skin. Organic cinnamomum cassia (cinnamon) leaf essential oil: Obtained from the leaf and bark of the cinnamon tree, this ingredient increases blood circulation and provides a gentle warming sensation. Aromatherapists recommend this oil for enhancing sensuality. Ethylhexylglycerin: A preservative derived from vegetable oil that’s used to protect our formulas from contamination from bacteria, mold and yeast. Organic helianthus annuus (sunflower) seed oil: A nutrient-rich plant oil that nourishes the skin without clogging pores. Hyaluronic acid: An amino acid, found naturally in skin, used to retain moisture. Hydroxyethylcellulose: A plant-derived thickener that binds ingredients together while creating pleasant, frictionless slip and glide. Lactic acid: Lactic acid is used to balance the pH of our formulas to match a woman’s natural chemistry. Organic linum usitatissimum (linseed) seed: An essential fatty acid that nourishes and lubricates the skin. Organic mentha piperita (peppermint) essential oil: An essential plant oil that acts as a natural preservative and provides a cooling, tingling sensation. 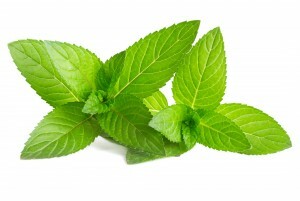 Menthol: An organic compound obtained from mint oils that provides a cooling sensation and has anti-irritant qualities. Niacin (Vitamin B3): A compound that stimulates microcirculation to create a warm or tingling sensation, while nourishing and stimulating nerve endings. Organic oenothera biennis (evening primrose) oil: An essential fatty acid that nourishes and lubricates the skin. Organic paeonia albiflora (peony) root extract: A sensual botanical extract derived from the peony flower. 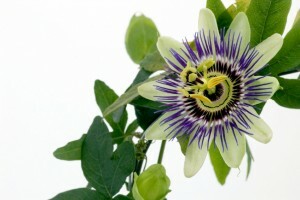 Organic passiflora incarnata flower extract: A sensual botanical extract derived from the passion flower. Potassium sorbate: A potassium salt derived from the unsaturated fatty acid, sorbic acid. A food-grade preservative used to protect our formulas from contamination by molds, yeasts, bacteria, etc. Organic rosa canina (rose hip) oil: An essential fatty acid that nourishes and lubricates the skin. Sorbitol: A sugar alcohol used as a humectant, to provide slip, glide and sweet flavor. Organic stevia rebaudiana extract: A natural sweetener derived from plants of the sunflower (asteraceae) family that does not encourage yeast or fungal growth, reducing the chance of infection. Tocopherol (Vitamin E): Known for its healing, antioxidant properties and works as a preservative.